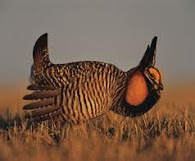 The Prairie Chicken: Roy Kronk: State's star witness or Casey Anthony defense's best shot? Roy Kronk: State's star witness or Casey Anthony defense's best shot? Kronk has never been charged, and the claims could not be independently verified. He denies the claims....Some legal experts say this is an attack on a witness and the defense will have a hard time showing how these prior acts are relevant to the case...Others say it's a smart move by Anthony's attorneys to create reasonable doubt....Kronk found Caylee's skull in a bag in woods Dec. 11. I'm really appalled by this--blaming Kronk. Baez has also requested ALL of Tim Miller's Equusearch records. How many times did we hear the Anthony's begging the public to search for her granddaughter, now the one who found her is under suspicion. Guess it just doesn't pay to be a good Samaritan these days, unless you can afford a good lawyer.